The PrimalTap is being offered as part of a contest which ends March 28th. The Grand Prize winner will get free SoundToys plugins for life. Go here for full details. "The little PrimalTap captures the highly distinctive sonic imprint of this quirky, and well-loved (by those in the know) vintage digital delay. 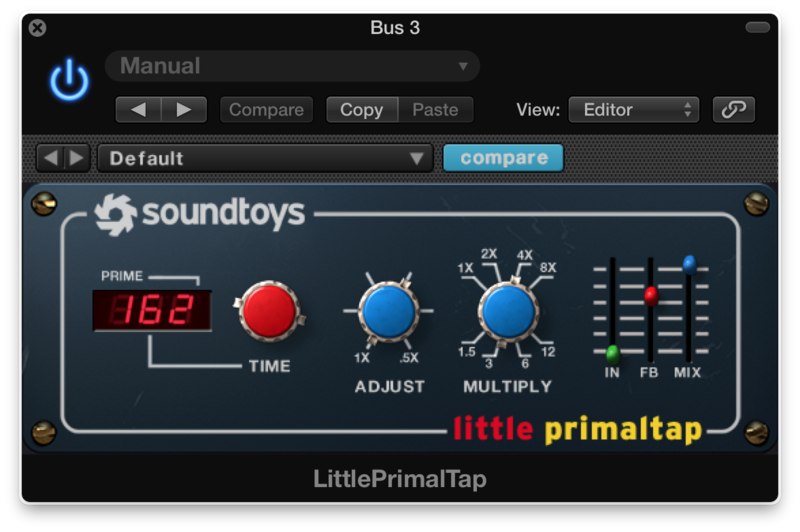 Don't be fooled by it's simple interface, Little PrimalTap lets you unleash your creative urges to echo, loop, warp, distort, mangle, or create cacophonous cascades of otherworldly sounds." The plugin supports Mac/Win and runs in 32 or 64bit as AAX/RTAS/AU/VST.